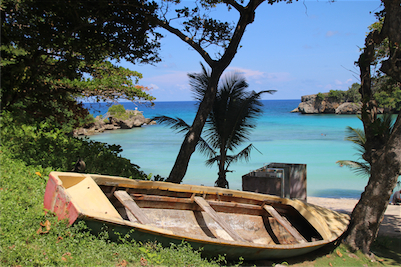 Jamaica’s 2nd largest city has golden beaches, palm covered hills and historic plantations. There are plenty of activities to do here like fishing, horseback riding, zip lining and guided river rides on bamboo rafts are just a selection of activities that you can do here. A smart way to move around is by renting a cheap rental car. Montego Bay is an ideal destination for families and couples. This beautiful Jamaican city is well known among tourists for its countless stunning sites. During spring break time, Montego Bay is simply crowded with tourists who come here to have a memorable holiday. This area also contains the principal airport and seaport of the island. There are a number of beachfront hotels, fine eateries, lively bars and souvenir shops in the city. The tourists can rely on car rental for easy exploration of the area. There are many hotels and apartments in Montego Bay, which are known for their excellent hospitality services. At Gloucester Avenue, the Jamaica Tourist Board can be found and tourists can get all the important information on places to visit. This mesmerising city has something for everyone. The most famous attractions of the city include the Belvedere Estate, Greenwood Great House, the AquaSol Theme Park, the Montego Bay Marine Park, Rocklands Bird Sanctuary and a lot more. Apart from these, there are many sports activities which are also enjoyed by the tourists in Montego Bay. Car hire is definitely the best way to get around and explore some of these beautiful sites. Scuba diving and snorkelling are the main activities that a tourist can never resist. This gorgeous city has impressive facilities for sports lovers and people can enjoy a number of sports at the resorts of Coyoba, Royal Reefs or Seaworld. You can also see some wonderful marine creatures like chromis, eels, loggerhead turtles, barjacks, parrotfish, rays and wrasses here. In addition, the AquaSol Theme Park is a great place to visit with the family and the kids love it. This popular theme park is fully equipped with pedal boats, banana boats and jet skis. Snorkelling or scuba diving can be done here as well or you can take a ride on an inflatable banana boat. The Belvedere Estate is a great place to learn about the plantation days of ancient Jamaica. There are a number of exhibits which describe the major events in Jamaican history. Greenwood Great House is located about 24 km from Montego Bay town centre. This gorgeous mansion was built in the 18th century and the famous English poetess Elizabeth Barrett-Browning used to live here. Here you can see some of her work that includes a grand collection of antique paintings and books. Getting around with Montego Bay car rental could not be easier, so why make life difficult when you are on holiday? When traveling to Jamaica Montego Bay we advise to carry some Jamaican Dollar to avoid any unwanted surprises. At many airports there are Money Exchange offices in order to change your local currency. The local time code for Montego Bay is EST. When traveling to Montego Bay make sure to check the local weather conditions in order to avoid any unpleasant surprises. Montego Bay has approximately 110,115 inhabitants. Montego Bay Airport is a popular rent a car destination, there are many car rental companies in Montego Bay Airport with a wide range of different car categories. Many of our clients have rented a car in Montego Bay Airport and had good experiences. Do not wait with booking your car for Montego Bay Airport before you know prices will go up and the availability will get low. Last month, the average car rental length at Montego Bay Airport was 9 days. The average rental car length at Montego Bay Airport is 9 days. The most booked rental car type currently at Montego Bay Airport is ECONOMY cars. Last year, the most booked rental car type at Montego Bay Airport were ECONOMY cars. How much does it cost to rent a car at Montego Bay Airport? Last month, the average car rental price was 384 USD. Last year, how much did it cost to rent a car at Montego Bay Airport? Last year, the average car rental price was 337 USD. What is the current average daily price to rent a at Montego Bay Airport? Last month, the average rental price was 42 USD per day. How much did it cost to rent a car at Montego Bay Airport over the past 12 months? Last Year, the average rental price was 37 USD per day. The car rental companies available at Montego Bay Airport are: Alamo, National, Enterprise, Right Cars, Island, Prospective, Danjor. See below last 5 customer reviews. Our customers rated Montego Bay Car Rental with an average of 9.50 based on 4 ratings. The entire rental process was a breeze. i ended up with a great rental company. i will be returning for my next car rental. I was suspect of the deal, as the price was close to half the price the rental company was charging. everything worked out accordingly and i will be using the service of rentalcargroup in the future. We certainly wil rent our car at chalis again next time. we got a free upgrade. good service and a good car for a very good price.